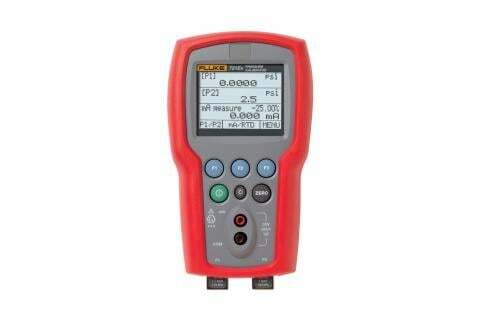 These calibrations can be made with three separate calibrators, a low pressure, high pressure and a temperature calibrator or use a multifunction calibration tool designed for this specific task. 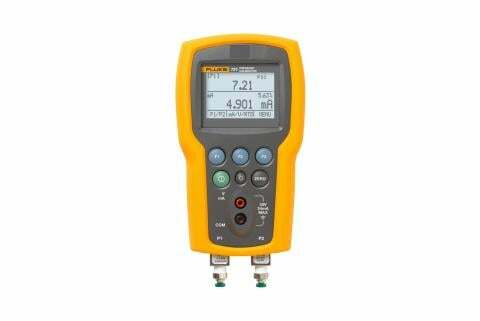 An example of a calibrator purposed for this task is the Fluke 721 or 721Ex. It has two built in pressure ranges and the ability to measure temperature. The most popular configuration is 16 psi/1 bar on the low pressure (P1) sensor side and 1500/100 bar or 3000 psi/200 bar on the high pressure (P2) sensor side. It measures temperature using a precision RTD accessory and can display all three measurements at once if desired. 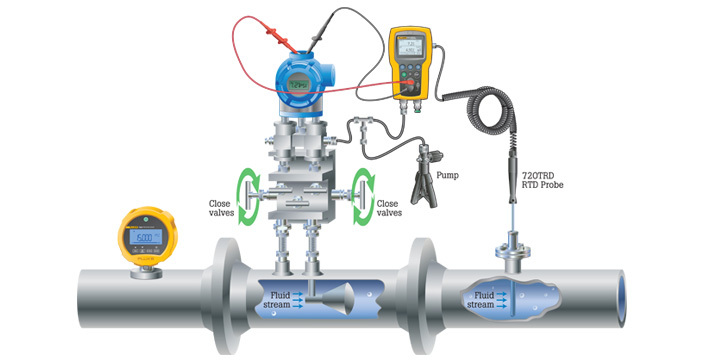 Low pressure differential pressure calibration is performed using atmospheric pressure as a low side reference. Vent the low connection of the flow computer or pressure transmitter and connect the high pressure connection of the flow computer or transmitter to the low pressure port (P1) on the calibrator. Static pressure calibration will normally be applied to either the same high pressure port of the flow computer or both the high and low pressure ports. Refer to the manufacturer’s instructions for details. Connect the high pressure sensor input (P2) to the appropriate port on the flow computer or transmitter and to the high pressure test source. The PC will instruct the pressures for the user to apply from the pressure source. Flow Computers with 4 to 20 mA inputs: Many flow computers utilize a low pressure, static and temperature transmitter to convert the measured parameters into 4 to 20 mA signals. In this instance these transmitters may need individual calibration if the test results are not satisfactory (see HART Transmitter Calibration application note or video for more details). Another source for errors in this configuration is the input A/D cards of the flow computer. These can be independently tested using a mA signal source from a loop calibrator.